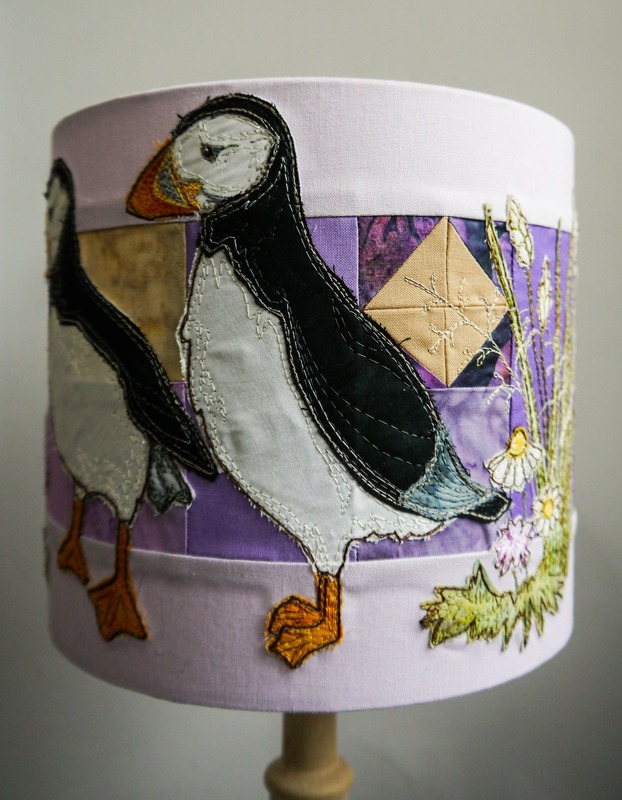 PDF pattern for lilac puffins flowers lampshade raw edge applique free motion embroidery. 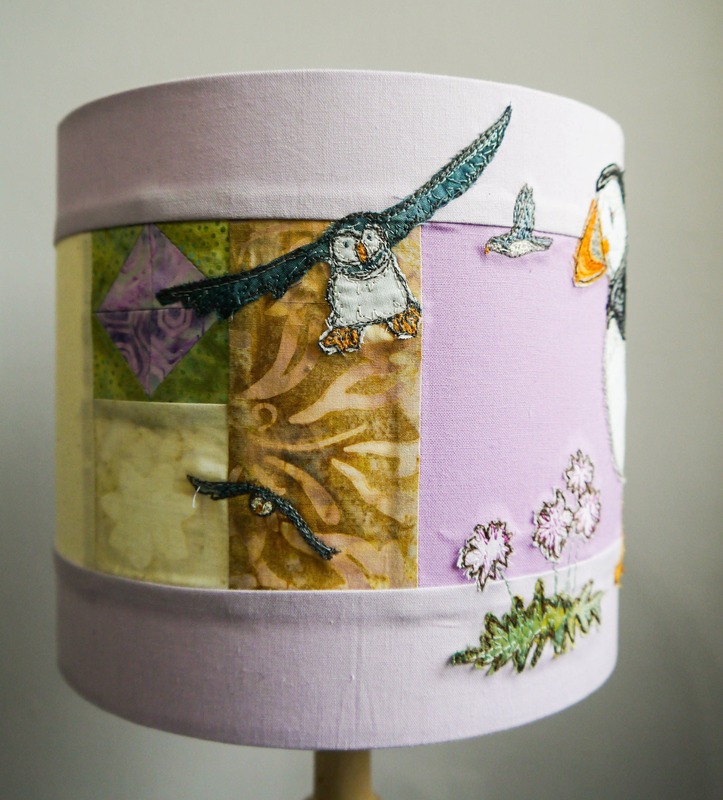 The lampshade is a drum lampshade measuring 20cm diameter and approximately 7 inches tall. You can make the lampshade as either a table lamp or a ceiling fixture light depending on which way you construct the kit. 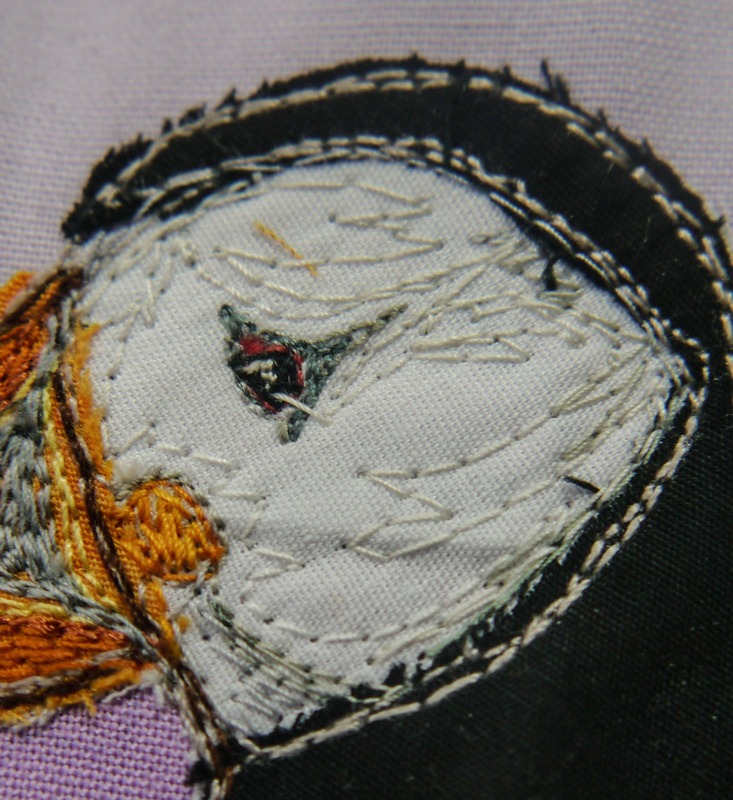 This pattern would also make a cute table runner and the size of the panel is approximately 24" by 7".